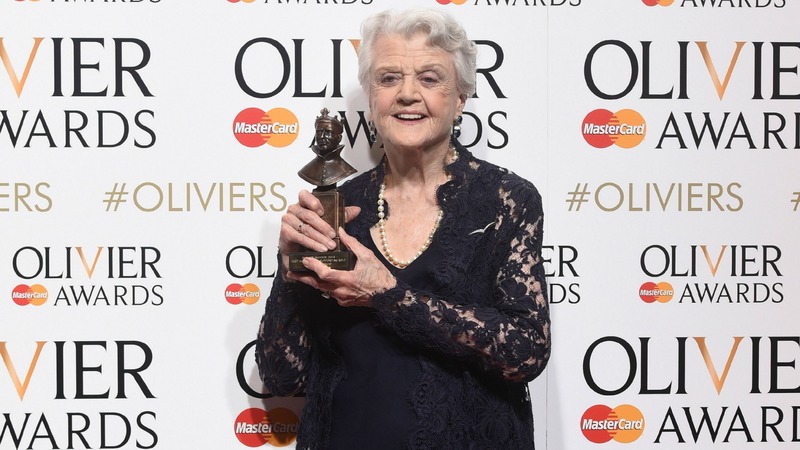 “Here I am creeping up to 90 and I feel a million dollars,” said Angela Lansbury as she accepted her Olivier Award on Sunday night for Best Actress in a Supporting Role, for her performance in Blithe Spirit at the Gielgud Theatre. Also stepping onto the stage to receive awards were Mark Strong for A View From The Bridge (Best Actor) and Penelope Wilton for Taken At Midnight (Best Actress). Nathaniel Parker (Best Actor in a Supporting Role) for Wolf Hall and Bring Up the Bodies could not collect his award in person as he is reprising the role on Broadway.